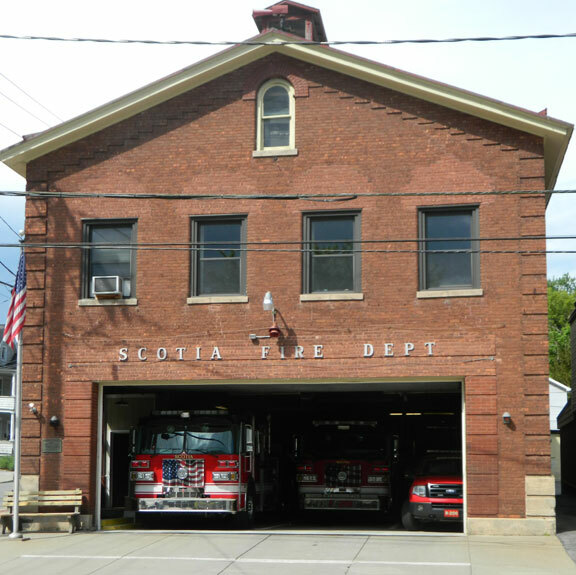 THE TOWN OF SCOTIA, NY, has a long and rich history dating back to Colonial times. Those times are well documented. 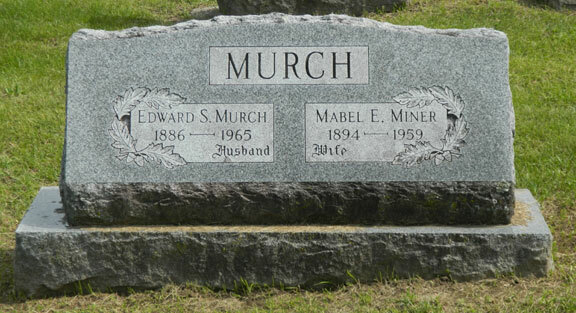 But equally rich is the history of the town in the post WW II era when it grew quickly into a typically American suburban/rural town with icons, buildings, businesses, and events, many of which are now gone but not forgotten. The book below will be a companion to this website. 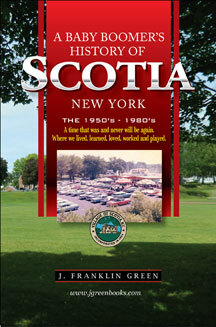 "A BABY BOOMERS HISTORY OF SCOTIA, NY"
I am looking for contributors - stories, anecdotes or photos of general interest. 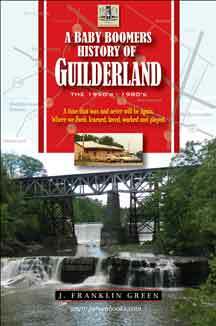 I had over 34 contributors for the Guilderland book and it has received rave reviews. You will be credited for the stories and photos unless you wish to remain anonymous. Like much of history, it didn’t last long. Pictorial evidence is scarce. What little there is resides in old photo albums or shoe boxes. And in this book. The day of digital images from cameras, phones or tablets was decades away. Who gave any thought to snapping a photo of Carvel, Frosty, The Penguin or Dutcher’s ice cream? We ate, drank and caroused at Fonda’s, Hopper’s, Tommy Polito’s, Dell’s, The Late ‘n’ Lazy or the Village Drummer. Take photos? – no way. Friends or relatives might stay at the Country Squire Motel, Bailey’s Cabins, The Tom Sawyer Motor Inn, the Governors Motor Inn or the M&M Motel. A quick bite to eat was often at the Bumble Bee, Will Roy, Mike’s Diner or Walt’s Subs. Finer, more expensive fare found at The Altamont Manor, The Bavarian Chalet, The Shadow Box, Howard Johnson or Harry’s Beef Bottle and Beer. 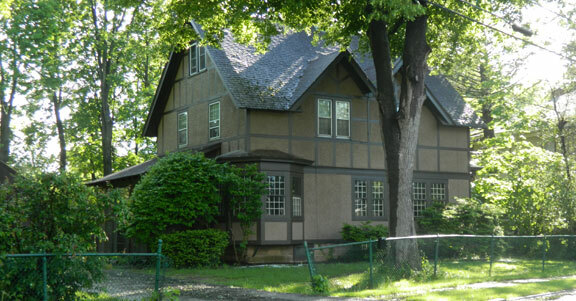 Lazy summer days were whiled away at McKown’s Grove, Tawasentha Park or French’s Hollow. Money saved to go to the Altamont Fair in August. We bought our groceries at Spinosa’s, Gruelichs, Star Market or the A&P. We filled our tanks and got our oil checked at Joe’s Service Station, O’Hanlon’s or P.L. Turnpike Yattaw Esso. Other needs satisfied by Robert Hall, Western Auto, Robinson & Hennett Hardware, Ted & Marions Sporting Goods, Candy Kraft or Master Cleaners. Few pictures taken, because little thought was put into these and many other places that filled our lives and memories. 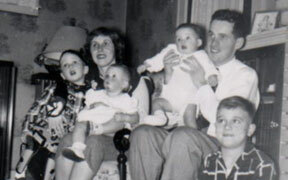 If photos are scarce, memories, stories and anecdotes remain. The photos and stories garnered from many sources. 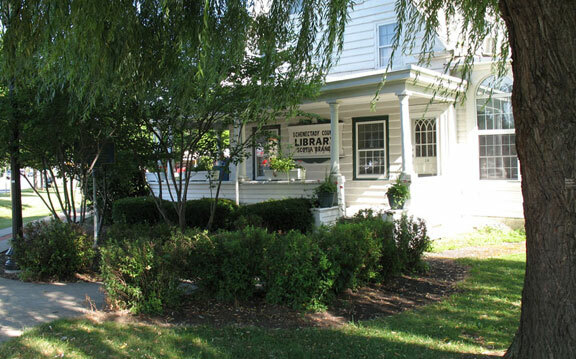 Some from the author’s personal archives, others from the Face book page – You know you’re from Guilderland when… Many are from people, like the author, who grew up in town and in some cases still reside there or nearby. Photos may fade but memories remain intact - for the most part. 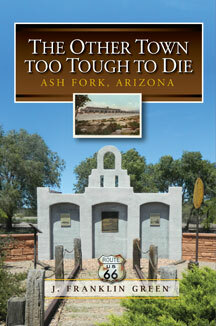 122 pages 6" x 9" with many photographs and maps. 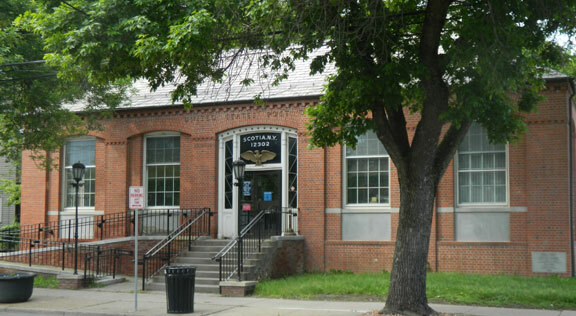 Although a supernatural mystery work of fiction, he book below makes several long stops in Scotia, Schenectady and Guilderland as well as other places in the USA. 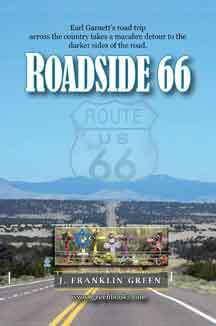 Earl Garnett, a professional writer, decides to drive across America. Along the way, he discovers the country, as he never imagined it. Jumpin' Jack's is almost synonymous with Scotia. As you can tell by the cars, it has been around for a long time. ABOVE: Flood waters from Hurricane Irene couldn't even do in Jumpin' Jack's - it opened again quickly. The other photos shows the river on Shonowie Ave, right down the street. -- photos courtesy of Dan Martin. BELOW: Collins Park photos and captions. "The Bowl" - In summer, for baseball or softball, in the winter for skating and sleigh riding. 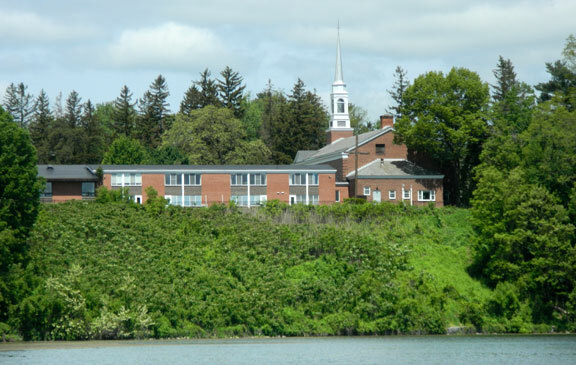 The "retreat" (building on left) was once adjacent to the library but moved to the maintenance building. Youth volunteers organized games and supervised the loaning of equipment, games and crafts. Looking across the Mohawk on Shonowie Ave. toward the Stockade District of Schenectady. 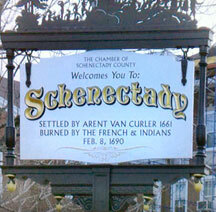 In many ways, Scotia families of this time-period were often linked to businesses in Schenectady – especially General Electric, which at one time employed over 42,000 people. The five o’clock whistle from the GE plant was the signal for children to head home for supper. 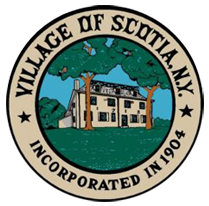 I am a Scotia native, born in 1962, who married into the “Gatta Dynasty.” I refer to them as “The Kennedys of Scotia.” If you were in Scotia Glenville High School from 1976-1980 chances were that you knew at least one person from the Gatta family -- and likely more. We had four in our grade! My dad worked at GE. In our family, we ate at 5:30 p.m. sharp. GE let out at 5 p.m. and Dad was home by 5:15 p.m. If he got home a minute after that he would say, “That darned GE traffic,” which meant that he didn’t make it through the light going from Washington Avenue onto the State Street bridge. 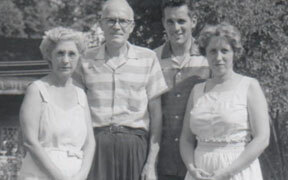 GE was more than just a job for my father, it was also where he met my mother. My mom won the title of Miss Schenectady GE and then he won her heart. She was a long distance switchboard operator and the sweet sound of her voice caught his ear. He asked her out and the rest was history. My husband’s grandfather worked at GE, as did his father and many of his relatives. Everyone I knew had pens, pencils and pads of graph paper from GE. John, my husband, worked in the park maintenance department and I worked in the Collin Park Retreat over the summers when we were in college. 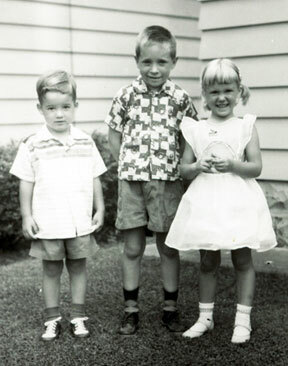 He would come over during his 10 a.m. break to play 4-square with the kids at The Retreat and they would sing, “Debbie’s in love with the garbage man.” For lunch, we would always go over to Jumpin' Jack's and then to the Twin Freeze. Years later, they removed the Twin Freeze sign. We would go into it and ask the people working there if they knew where Twin Freeze was. None of them ever did. We would shake our heads and chuckle. How could that “company history,” not have been passed along? Above is Collins Park, which has changed little over the years. The lake was overgrown with water chestnuts and duckweed. 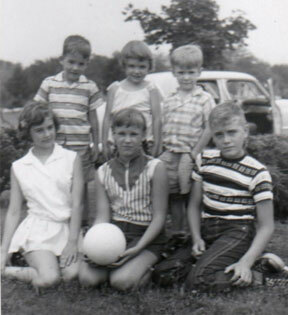 Ever since I was a child in the 1950's - 1960's it has been the village place to play, picnic and enjoy a summer day or winter sledding and skating. 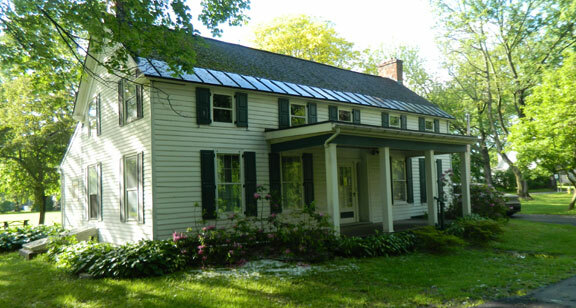 The Abraham Glen House, built in the 1730's, better known to baby boomers and current residents as the Scotia Library. Sunnyside Road above the lake was and is one of the premiere residential areas in town. The author always thought of it as Boardwalk or Park Place. 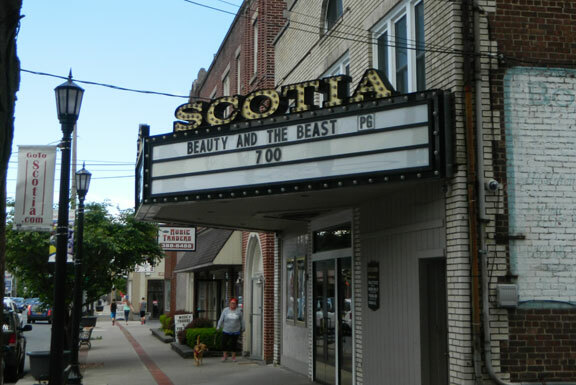 The Scotia Cinema as it is in 2017 when the author took many of these photos. Some of the last remaining original buildings on Mohawk Avenue. 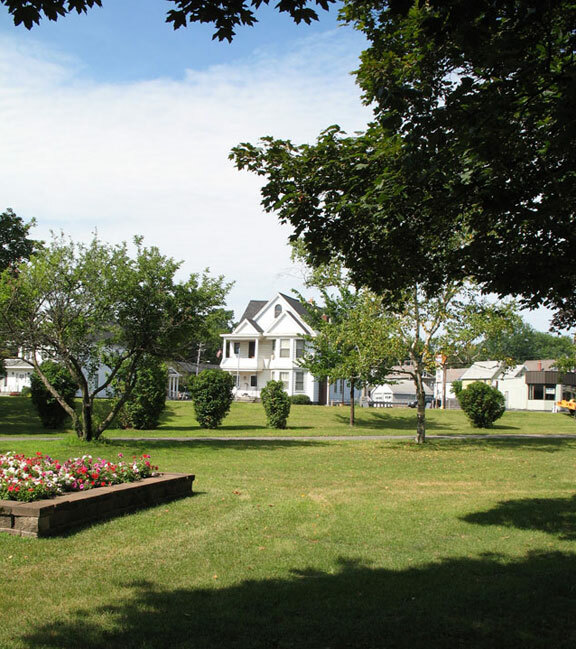 The area of Glen Avenue has seen some changes, but unlike outlaying areas remains much the same with vintage homes. The photo above shows the Mohawk River as it flows past Sanders Ave.
Moving up Sacandaga Road (rt. 147) is the old cemetery. The headstones indicate the original Dutch, English and German populations of an older time. The authors grandparents, John and Leola Green are buried there, as well as other families I knew. 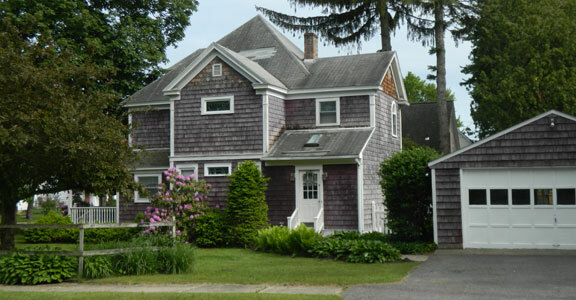 Once the Vosburgh home on Vley Road. 105 Third Street. 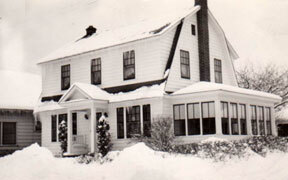 The Green family home until 1962. 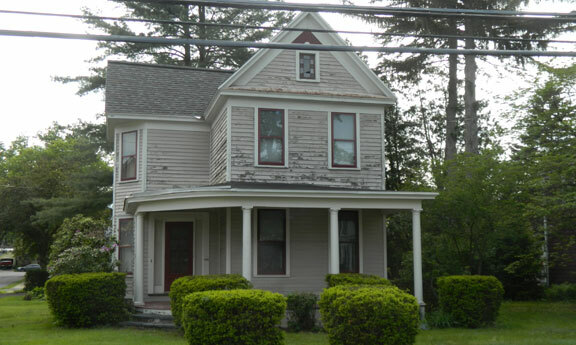 This house on Houston Street was once where the author played board games on the back porch with the McIver boys. No Nintendo or X-Box back then. We went home when the GE Five o'clock whistle blew. 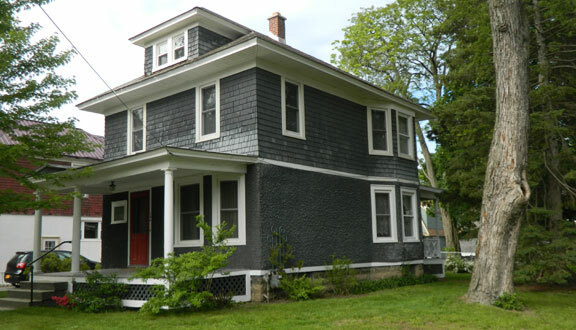 Once the home of Dromms Family on third street an Vley Road. Most of the above photos were recently taken, but the old homes in the village above Mohawk Ave. are mostly the same as the 1950's. 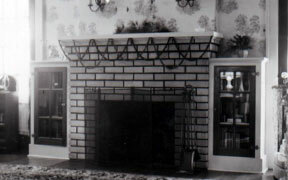 Many of them, including the author's grandparents house date back to the 1920's and 1930's. 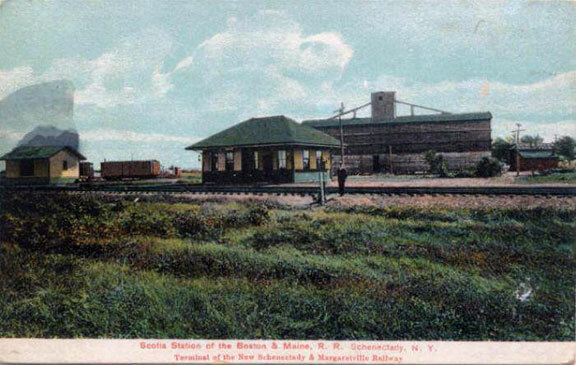 BELOW: The old Scotia Railroad station that burned in the 1960's. It was near to Funston Lumber. • Businesses along Mohawk Ave.
• Further out Mohawk Ave. Including the depot. And anything else of interest to aging old fogies like the author of this site. 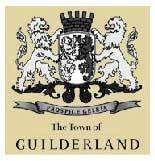 I also lived in Guilderland but spent half of my youth 1953-1966 in Scotia with my grandparents on 105 Third Street and Mohawk Ave, across from Collins Park. 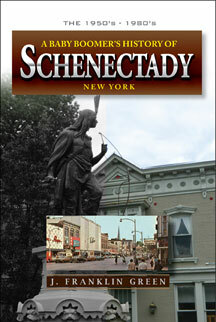 "A BABY BOOMERS HISTORY OF SCHENECTADY, NY"
"A BABY BOOMERS HISTORY OF GUILDERLAND, NY"